Lab Teaching Stuff in the Uni of West Attica. PHD in Affective Computing domain with applications in eLearning. 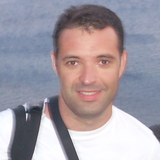 Michalis Feidakis updated their profile information. Michalis Feidakis created the update Affective Assessment. Michalis Feidakis changed their profile image.